Today the land where the Buddha lived and taught, and whose religious festivals are as old as the rivers that sustain them, is the second largest producer of computer software in the world, with its own satellites and nuclear weapons. Many first-time visitors find themselves unable to see past such glaring disparities. Others come expecting a timeless ascetic wonderland and are surprised to encounter one of the most materialistic societies on the planet. Still more find themselves intimidated by what may seem, initially, an incomprehensible and bewildering continent. But for all its jarring juxtapositions, intractable paradoxes and frustrations, India remains an utterly compelling destination. Intricate and worn, its distinctive patina – the stream of life in its crowded bazaars, the ubiquitous filmimusic, the pungent melange of diesel fumes, cooking spices, dust and dung smoke – casts a spell that few forget from the moment they step off a plane. Love it or hate it – and most travellers oscillate between the two – India will shift the way you see the world. Nothing can define India and you have to spend a lifetime to understand this land. While a European could brag about his hike to a 10000ft peak, your Indian friend might casually mention that he visited his mother-in-law at 15000ft, the previous day. While a Westerner would be shocked to see 1 million people gathered for a religious festival, an Indian might wonder where the remaining went. While an American could talk about a 150 year historic place, your Indian friend might not even bother about the 1500 year old temple in the neighborhood. Traveling in India is a completely different landscape and a cultural expose of sorts. There is a great sense of encompassing travel experience that you get when you explore various parts of India. From the beautiful mountains in the Himalayas to the amazing temples and the beaches down south. From the most diverse religious and cultural places across the four corners of the country to the much modern and very well built cities in various metropolis. From the multiple Indian languages spoken in different parts to the very familiar tour guides or audio guidebooks that you'll get at various heritage sites to help understanding places in the country much better for yourself. India has it all. If you are the type who loves adventure and mountain climbing then you can explore various destinations across the Himalayas which span across the Indo-Nepal-Tibet and Pakistan border you'd love every bit of it. There are practically every kind of geographically diverse landscapes in Leh and Ladakh. If you are interested in culture and meeting new people of ethnic and traditional origin then a trip to Uttar Pradesh, Rajasthan, and some remote villages in Harayana, Punjab and some parts of South India would do the trick. Archaeology fans might really enjoy The Ruins of Hampi, various parts of Gujarat and some across India-Pakistan border where Indus valley civilization ruins exist and of course Madhya Pradesh for it's beautiful terrain and charismatic caves depicting ancient lore of Kama Sutra and love in Khajurao. Mumbai, Delhi, Kolkata, Chennai, Bangalore are the metropolis you might want to go to, best serve as connectivity to various different parts and mostly flights to any place in the world or other part of the country are available here. South India give s you a lot of insight on the Hindu cwith it's various temples and also a great escapade towards nature in God's own country Kerala will enchant you with it's beauty. The North East has it's own charm with various landscapic mountains, monasteries, Buddhist culture and an eye awakening spirituality towards nature and this planet. Then there are the beautiful islands of Lakshwadeep and Andaman and Nicobar which are a place in itself. Secluded from most parts of India they lie within the terrains of water a world within their own these places must not be missed. And last but not least, there's no place like Goa! India is beautiful, spiritual, nature filled, has beautiful and varied architecture, incredible history, wonderful friendly people, annoyingly persistent salesmen, amazing food, insanely cheap, frustrating in more ways than you can count, disheartening, shocking, polarizing and confronting. There are two reactions for people who travel there - relief at having survived or wonderlust bordering on addiction that compounds you to return over and over. I've never heard anyone come back from India say it was just OK. Safe to say you learn as much about yourself as you do about India when traveling there. India is roughly 30% the size of the US but has 1.2 billion people who speak nearly 1600 languages in that land area. Around 30 of those are spoken by at least a million people. A majority are Hindu by religion but there is also a large number of Muslims, Christians, Buddhists, Jains, Sikhs, and a couple others. India has 20000+ ft mountains ranges next to Jungles, coastlines, and deserts. As you travel through it, the terrain changes fast. Many regions of India have their own distinct cuisine as well. It's very hard to say the phrase "Indian Culture". The singular "culture" doesn't do India justice. I feel you could maybe get away with "Mexican culture" or "French culture" and generalize ok. In India, much less so. We should say "cultures". There are entire swaths of people who don't speak a common language. Hindi is probably the only language most non-Indians know about and they're often surprised when I tell them that only 41% of Indians speak it as their native language. In addition to the language differences, there are people are living so drastically different from one another that it's hard to say they have the same culture. It has the world's richest, world's poorest and the third biggest middle class in the world. It has a large number of people living in the pre-historic era (in Andamans and various jungles in the mainland) and it has a large number of people living in the cutting edge of various technologies. You will find people fighting wars at 6000m and the people incredibly peaceful in mind numbing poverty and oppression. Unlike China which went through homogenization in the Mao era, India has managed to retain most of the heterogenity. If you want to observe people, you can't find a better place. Our BMWs and Buggatis drive past immense filth and slums, we could get our degrees from MIT but still swear by arranged marriages, we could nod both yes and no, our traffic signals can sometimes show both red & green and we have learnt to live in immense ambiguity & contradiction that is not found anywhere else in the world. You can never understand the weight of the contrasts unless you visit an Indian city like Mumbai. You will be constantly challenged about your understanding of the world and yourself. It had among the oldest civilizations in the world. Given the importance in the ancient and medieval world, it had seen a series of conquests that had added immense color and history. It is incredibly open (see how India has absorbed ideas from various cultures) and at the same time incredibly closed. Some of the practices we follow are inherited from literature 4000+ years old. In fact, many still chant some of the hymns of Rig Veda (Purusha Suktha) whenever we visit a temple. It has the largest diversity of religions, languages and races. Apart from being the birth place of 2 of the top 4 religions in the world, it has also given birth to Sikhism, Jainism and were among the handful of places that opened arms to persecuted religions such as Judaism, Zorastranism and Christianity (before 300 AD). Even within Hinduism, you will find 1000s of different variants and can easily get lost in its immense temples and literature. Thousands of years old temples, practices and writings can leave the history buff salivating. We have an immense diversity of food that varies by state. Tamils have dosas & idlies, Telugus and Rajasthanis have hyper-spicy foods, Gujrathis have incredible thalis, Malayalis have coconut flavored dishes, Punjabis have super cool lassis & Bengalis have mouth water sweets. Even within the states, there are enormous diversities. For instance, the Iyer food of Tamil Nadu is quite distinct from the Chettinad or Madurai foods of Tamil Nadu. It is the home of spectacular Himalayas, massive rivers and as a subcontinent has every type of landform (from the sands of Jaisalmer to the 8000m snow caps of Kashmir to deep tropical jungles to plains that feed 1 billion people). It is the only country to have natural habitats for Tiger and Lion. Along with Indonesia and Brazil, it is among the 3 most biodiverse nations of the world (3 of the world's 32 biodiversity hotspots are in India -http://en.wikipedia.org/wiki/Bio...) . Whether you are a hiker or nature enthusiast you can get your money's worth. We celebrate about 300 festivals in a year - the most popular ones being Diwali, Holi and Dussehra. Apart from the national festivals, we have regional festivals such as Baisakhi (Punjab) or Thai Poosam (in Tamil Nadu) that are very colorful. We have 100s of dance forms and musical traditions. Last, but not the least, India is very important to most major corporations in the world. There is still huge potential to be tapped. India's middle class is 80% of America's, but its GDP is just over 1/10. Thus, there is massive upward room for the middle class to grow, without even accounting for the chunk of the poor to join the middle class in the coming years. Understanding 5000 year ancient history. Check. (Suggestions: Lothal in Gujarat, Varanasi, Hampi, Sanchi, Sarnath). Immense variety of Flora and Fauna. Check (Suggestions: Asiatic Lions: Gir forest, Indian Elephants - Mudumalai,Indian Rhinos - Kaziranga & Manas in Assam, Tiger - Corbett and Ranthambore, Birds - Bharatpur in Rajasthan). Ultimate Relaxation. Check. (Suggestions: backwaters of Kerala, Udaipur in Rajasthan and Coorg in Karnataka). Visit the Ruins of Hampi - A must visit if you are a fan of archaeology and historic ancient culture. Haridwar for it's cultural and spiritual expose. India is a very interesting place to travel if you have thright attitude and resourcefulness to deal with some extreme challenges. I want to do more treks in Kashmir, party more in Mumbai, and chill out in Kerala. There are 24 official languages in India. Source: Languages of India. Actually, there are 22 official languages. English is not stated in the constitution as offical language. Still, the constitution is written in English. India is a very specific tourist destination. If someone is looking for a bit of a (very safe) adventure and doesn't mind roughing it, dealing with a lot of BS, wants to see what an overpopulated, poor place is like, India is a good trip. This is a good place for any history/religion buffs, people that have a deep and specific interest in certain architecture, etc. But for most people, it's not a good trip unless you find a super-reputable guide - which is in itself very hard to find in India as they all try to cut corners. The standard seems to be to promise the world, and severely under-deliver. Most tourists are looking for easy trips. That's not something they're going to get from a trip to India unless they pay big bucks for a Western tour and guide. 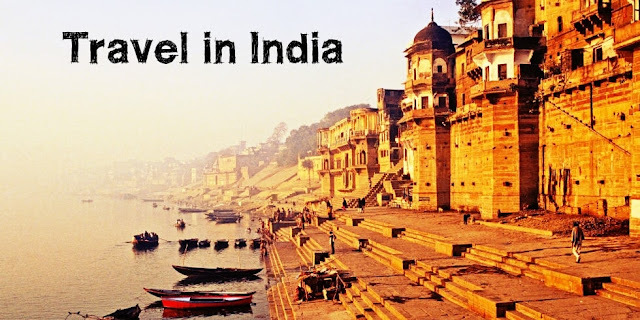 India is an appealing travel destination that’s growing in popularity all the time. Thinking of visiting India? Here are 6 reasons why you should do so NOW. 1. The Food - Indian food can take a bit of getting used to for some people, but it really is worth it. You may be surprised to find that Indian cuisine is vastly different to the standard fare served up in most Indian restaurants at home, which is in fact predominantly north Indian cuisine. Our India tours will expand your tastes. 2. The Great Value Destination - India is often thought of as a backpacker destination with second class hotel rooms and dirt everywhere. Let me assure you that this definitely isn’t the reality. 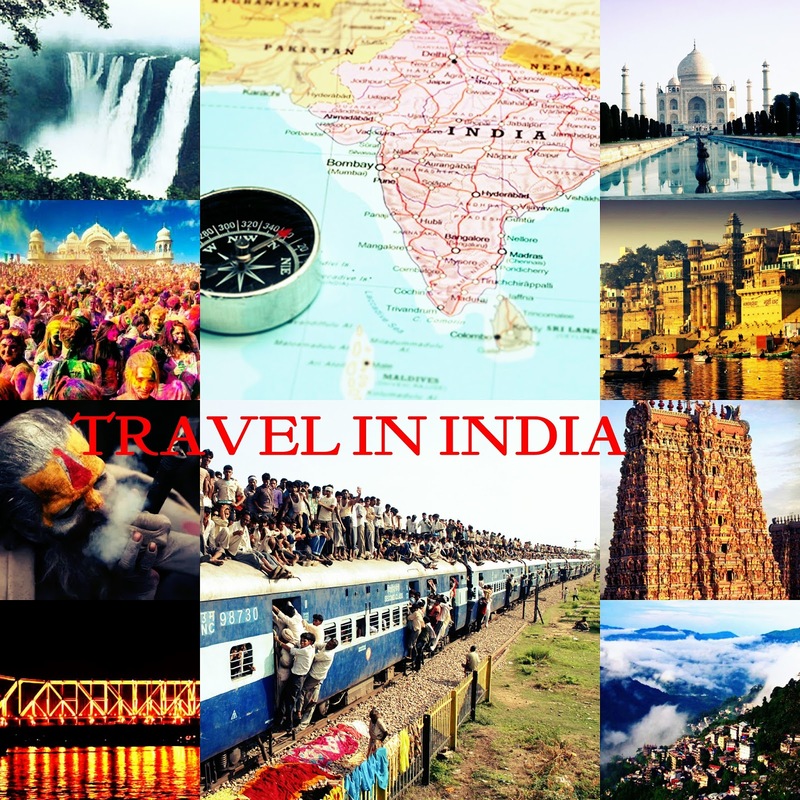 You can travel as cheaply or as lavishly as you want in India, and that’s definitely part of its appeal as a tourist destination. There are many top budget hotels in India, abound. 3. The History, Architecture, Art and Dance - One of the things I always marvel at in India is the magnificent architecture found all over the country, and it varies so much where ever you go. Where else can you find the Taj Mahal? There are amazing historical and architectural sites in India. The art is unique and the dancing is hypnotic. 4. The Indian Hospitality - There’s a saying in India, “the guest is god”. Indians consider it a huge honor to have guests in their home, and go out of their way to please them. There’s nothing like Indian hospitality. 5. The Spirituality - India can be very inspiring and refreshing for the soul. Many people come to India to learn yoga, meditate, or spend time at an ashram. Another moving experience is to take part in an evening aarti (fire worship) along the Ganges river at either Rishikesh, Haridwar, or Varanasi. 6. The Shopping - Of course, if you love there are countless options. The problem is that items in India are so irresistible! The handicrafts are particularly eye catching and well made. Each region tends to specialize in a particular industry that’s been handed down over generations. 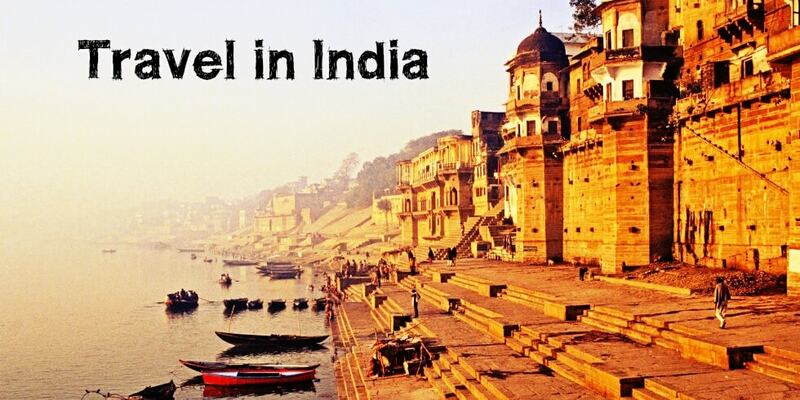 Join one of our India tours and grab the bargains you have always wanted. India is a greatly diverse country. The foods, cultures, dances, traditions, and life style varies from state to state even city to city. Apart from that, India boasts to hold myriad of tourists attractions in every corner. Some of them are historical monuments that are famous worldwide and attracting thousands of tourists in daily basis. As accommodation is the main problem when you're in a vacation to some unknown places, it's recommended to book the tickets a minimum of one month or fifteen days before the journey. On the off chance that you want to go to Vietnam, yet you can't get your visa, don't stress. You simply need to apply at the https://www.greenvisa.io and you'll be getting your visa for Vietnam soon.